Prezzee, an app for iOS, Android and the web has today added support for Apple Wallet. For those who have never heard off Prezzee, it’s a quick and easy way to buy, gift and share digital gift cards from a range of different retailers, including places like JB HiFi, David Jones, Myer and so on. 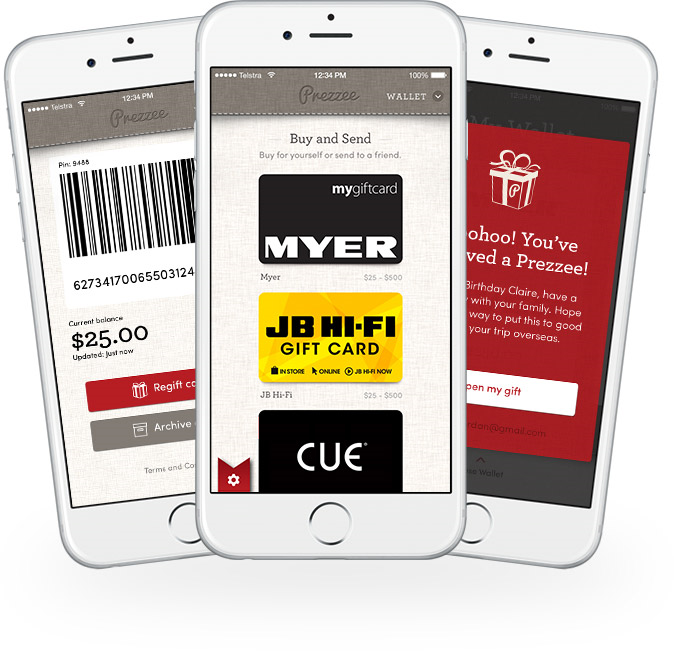 Prezzee was actually one of the first Australian apps to add Apple Pay support over a year ago, making it super easy to buy gift cards with a touch of your fingerprint. Today this support extends to Apple Wallet. Previously any gift cards you had bought or received lived in the Prezzee app – which while not terrible, supporting all the bells and whistles including the remaining balance on the card, obviously wasn’t ideal when you’ve got s perfectly acceptable Wallet app built in. Now you can fire up the Prezzee app, tap your gift card, and then tap Add to Apple Wallet. Bam! Now it lives next to your Apple Pay cards, rewards cards like Woolworths Rewards, boarding passes and more. Your barcode is there, together with the card number (should the barcode not work), the PIN and remaining balance. Now, all it needs is support for the iPhone X! Prezzee is available now as a free download on the App Store. Welcome to Tap Down Under!